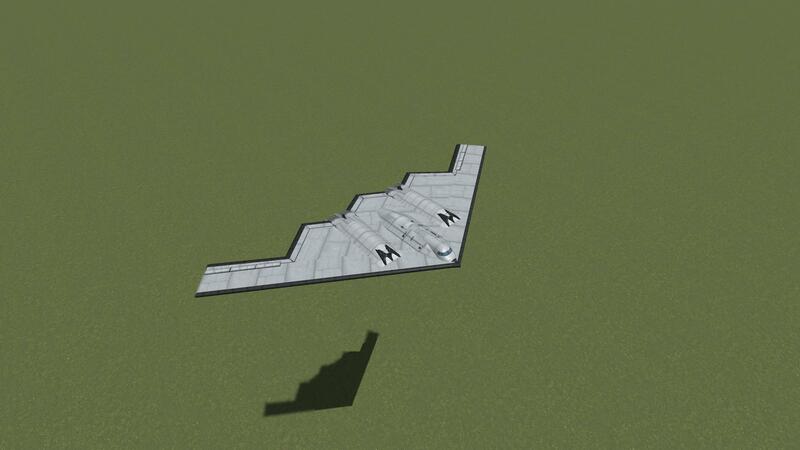 This is my second B-2, but this time i did it with PWings, its was not easy, but i think i almost got it right. Im sure there are things on the craft that dont look identical but i just ran out of ideas. If you have any suggestions , ideas or comments please feel free to let me know, and ill fix it. She flys really easy…and i hope you guys enjoy it. HAVE FUN!!!! 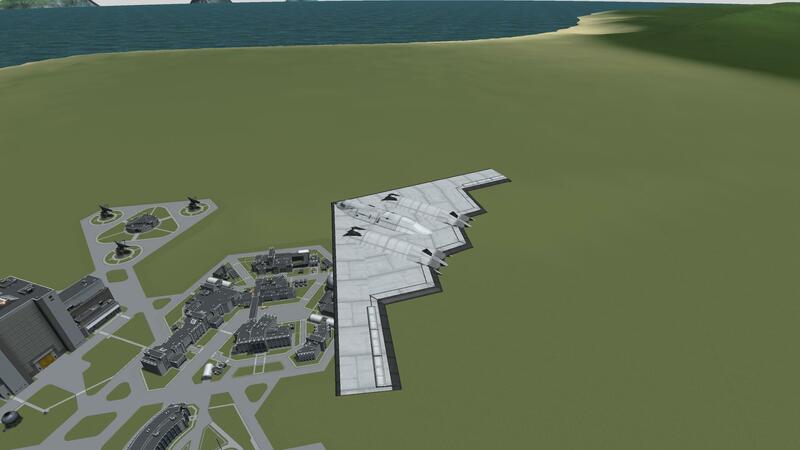 A mod aircraft called B-2 Spirit v2. Built with 66 of the finest parts, its root part is mk2.nose.opt.